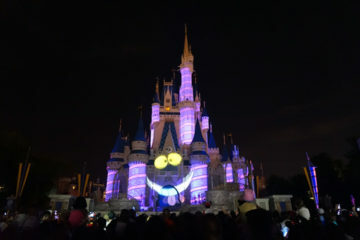 The Disney World Resorts have so many attractions that there are sure to be many things to interest just about every guest who visits the four theme parks. For many car enthusiasts, one of the attractions of choice can be found in Epcot’s Future World area. This is where Disney’s Epcot Test Track Pavilion is located along with plenty of eye candy for car lovers. As with every detail of the attractions found in Disney World, the designers wanted to get it right. They spent many hours visiting real GM test facilities in order to be able to make the attraction as authentic as possible. 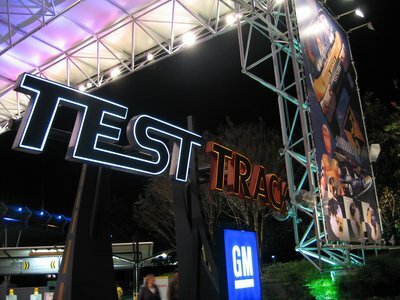 If you have always wanted to learn more about how cars were made and tested, or love seeing the latest and greatest prototype and concept cars, then the Test Track pavilion is a must-see during your Disney vacation. Test Track is sure to appeal to car lovers. 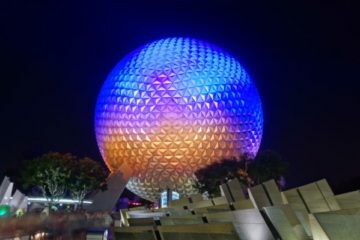 Being that this pavilion is located in Future World, the futuristic design will not be a surprise. When you enter the pavilion, you will notice a variety of GM cars on display. The queue area for the ride is set up to look just like a real automobile testing lab. You will also see video explaining all of the many testing procedures that are used on every General Motors car before it is available for sale. You will also see many of the tools that automotive engineers use to test out their cars – from a wide variety of crash test dummies to all kinds of machines that measure, bash, and smash cars. 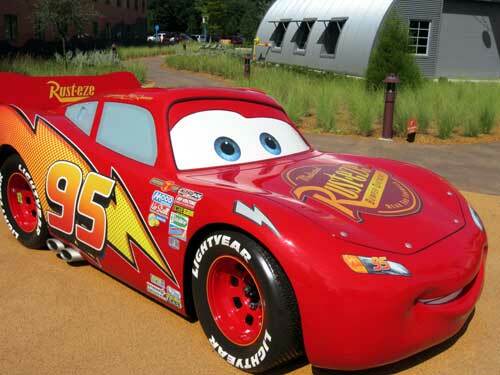 While car enthusiasts will love this attraction, there really is something for the whole family. While not everyone will be able to enjoy the ride (see below) just looking at the concept cars and other vehicles is fun for the whole family. This is not an attraction that will take a large chunk of time see, so it makes a good choice for a spot for the whole family to meet before heading off to enjoy lunch together. Test Track is an awesome thrill ride during which the car in which you ride will be “put to the test”. Traveling at speeds of more than 60 miles per hour, you will spin around tight curves, go through periods of extreme hot and cold and get a little wet as water the test vehicle enters the test corrosion chamber. The ride handling test is one of the most exciting part of the ride. You will ride up a rough and rocky mountain pass and then enter tunnels where you will never know what is around the next corner. Entrance to Test Track at night. During the acceleration test your test car will actually exit the building and gain speed as it takes a thrilling tour around the outside of the building. Near the end of the ride, you will barely miss becoming a statistic when the test vehicle appears to come close to crashing. Fortunately, all is good at Disney and you survive to drive another day. Test Track is billed as the longest ride in Disney World and lasts for a full five minutes. The nice long ride makes it worth standing in line for, but you can avoid the lines by using the free FASTPASS system, which is available for this attraction. With FASTPASS, you are assigned a time to return. When you come back at the appointed time, you hop right on the right with very little waiting. While the Test Track pavilion is appropriate for all ages, to enjoy the ride, guests must be at least 40 inches tall. Also, guests using a wheelchair or a scooter must transfer to the car. Wheelchairs and scooters are fine for use in the rest of the pavilion. The ride portion of the attraction is, in parts, bumpy and fast moving, so be sure that you are up to it and have no problems with your back, heart, and neck, and aren’t prone to getting motion sickness. 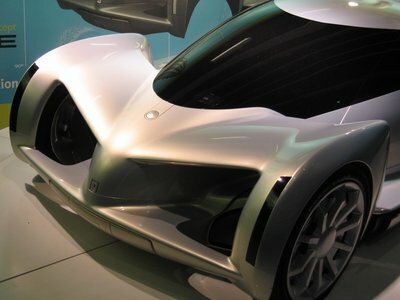 You can peruse the latest production vehicles, but even more exciting is the chance to view concept cars. These are cars designed by GM engineers that are not yet – or may never be – part of the production line. These over-the-top cars are cool enough to make any car enthusiast’s heart beat just a little faster. The gift shop is your last stop in the Test Tract pavilion. It is cleverly called the “Inside Track.” Here you can pick up a memento of your time, including pit crew hats, t-shirts, ever-present Disney trading pins, and even radio controlled cars. You will see lots of General Motors merchandise too. Check out the photographs that were taken while you were on the ride. The pictures may seem a little pricey, but because they likely captured you and your family members in various phases of joy and terror, they are worth the money! Test Track replaced one of the original Epcot Future World pavilions called The World Of Motion. In that attraction, you took a slow moving and humor filled ride through scenes where you could witness the history of transportation – with everything from the invention of the wheel (and the supposedly unsuccessful early prototypes that didn’t work so well like squares and triangles) to predictions for the future. The Test Track attraction was originally scheduled to open in 1997. However, it didn’t actually open to the public until 1998, and didn’t have an official grand opening until early 1999. 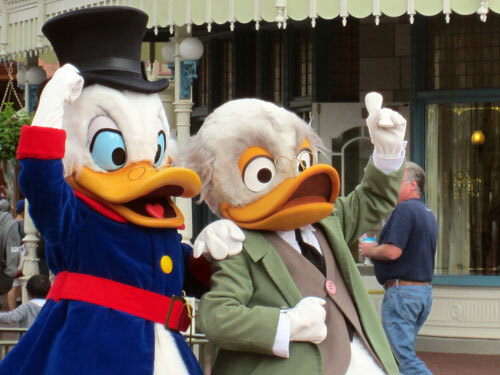 There were many delays that were caused by problems in getting the advanced ride to work properly and in changes to the design of the attraction itself. The closest place to Epcot Test Track to grab a snack is at the Innoventions Plaza. Of course, within a short walk, you will find plenty of dining options to please even the most finicky eater. Epcot Test Track highlights much of what makes Disney World Resort such a popular vacation spot. 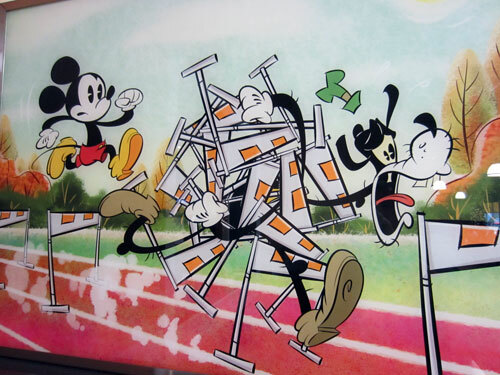 The Disney designers consistently find ways to bring learning and fun together. The Test Track is a thrilling ride, but it also provides a glimpse behind the scenes into the automotive industry. For car buffs, it just doesn’t get much better! 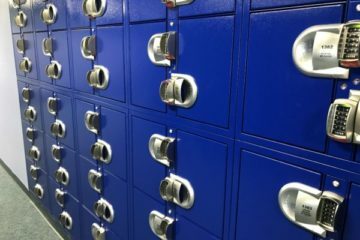 Disney Stock Is Dropping – Does It Mean No More Park Upgrades?